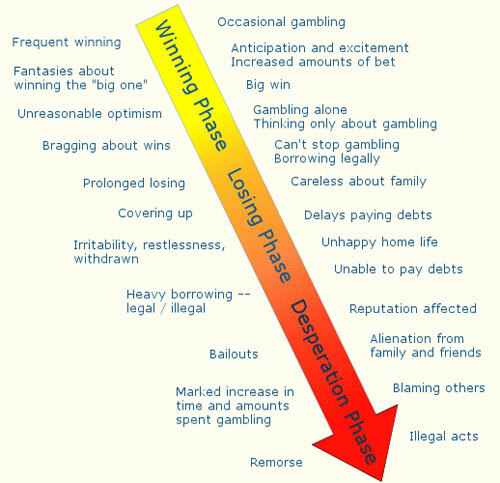 Many Europeans and Asians dream of winning the jackpot playing slot machines and money games. We all harbour a secret desire to win big and to be able to retire and enjoy the leisurely pursuits in life. We all have stopped to think at one point or another we would do if we won a million dollars. But in certain cases the entertainment factor can turn into an addiction, at which point fun and reason go out of the window and the compulsion to play takes over. The Reference Centre on Excessive Gambling (CRJE) in France is currently launching a major study on players that have become dependent on their compulsive addiction to play online casino games and place sports bets of all kinds. There is no previous history of any study conducted in France on the number of players labelled as compulsive or "pathological". But surveys conducted in the United States and Canada show that 0.4 - 3.4% of the population is concerned. By adjusting these figures to the population of France, the specialists assume that between 600,000 and 1.8 million French people may qualify as compulsive gamblers. To learn more about these players, the CRJE is currently searching for a representative sample of 500 "pathological" gamblers to analyse their behaviour and determine a profile type. This would be a sample of people who think they have lost the ability to control when they play. Such behaviour can drive people to despair and into debt. The effects on these people’s lives as well as those around them can be catastrophic leading to depression and sometimes suicide in extreme cases. This is the reason for the importance of conducting such a study to establish an optimal course of action to deal with such addictive personality types effectively. "We are still dealing with a somewhat hidden population or unknown quantity," explains Dr. Marc Valleur, head physician at the Marmotan hospital in Paris who is leading the research project. "Many have difficulty asking for help," he adds. The doctor also wants to reassure the players who wish to participate in the study. "We are advertising the project in order to reassure people in order for them to come forward. It is important to highlight that this is an anonymous study, in which they can answer the questions without taking any risks."